Americare Technical School offers a weekend/weekday/and weeknight schedule for its Nursing Assistant Program. What are Americare Nursing Assistant graduates qualified to do? 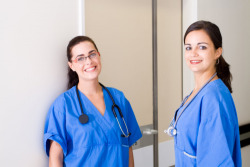 Although state requirements vary, generally upon completion of the Basic Nursing Assistant program and the successful passing of a competency exam, an Americare Basic Nursing Assistant student is placed on the State’s registry of CNAs, which provides proof that he or she has completed a training program. He or she may work in hospitals, nursing and residential care centers, mental health facilities, and in patients’ homes. Specific job duties vary by work setting, but at the end of Americare’s Basic Nursing Assistant Program, our students may do the following: take vital signs; help patients eat, bathe, dress, and walk; reposition patients in their beds; observe patients and report changes to supervisors; tidy patients room; help set up equipment and stock supplies, etc. For more information on your state’s requirements, you should contact your State Nurse Aide Registry and/or State Licensing Board. Note also that workers in health care facilities may have to submit to drug tests and criminal background checks in order to secure employment. The Practical Nursing program at Americare Technical School balances classroom instruction with clinical experience. Students receive a solid foundation in the areas of Medical-Surgical Nursing, Pediatrics, Obstetrics, Geriatrics, and Pharmacology. Graduates of this program qualify to pursue the LPN State Board licensure. Upon completion of this program, the graduate is prepared for an entry-level nursing position in a hospital, nursing home, clinic, or other healthcare facilities. Their job duties may include taking vital signs, administering medications, collecting samples for testing, and providing other basic care. We have education that fits your schedule. Most of our students work at least part-time, and many have family responsibilities on top of that. But at Americare Technical School, they’re able to find a balance between the demands of school and life. In most classes, you can focus on one or two courses at a time instead of trying to juggle the work of several classes and cramming for multiple exams all at once. We have a weekday, weeknight and weekend classes. For more questions, ask for an appointment with one of our admissions representatives. 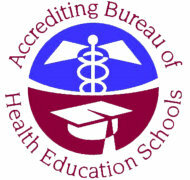 Prospective PN students must successfully pass all eight prerequisite courses (Introduction to Health Science, Medical Terminology, Mathematics for Nurses, Introduction to Psychology, Fundamentals of Computers, Nutrition, Anatomy and Physiology I and Anatomy and Physiology II) with a minimum grade of ‘C.’ Students who do not pass may only repeat a course for a total of two times. The age of credits. Credits older than five years are not accepted. The compatibility of course descriptions and objectives with those of courses in the program at Americare Technical School. The grade earned must be at least a C, or 2.00 on a 4.00 scale.